Choose from a wide selection of travel bag covers featuring your company logo or branded message for your next golf tournament, event, outing or promotion. 4. Your travel bag covers will be produced and shipped followed by a tracking number sent by email. Corporate Gift Imprinted Golf Club Travel Cover - Golf Tournament Gifts.. Features extra thick padded top with high density foam and impact resistant PVC for maximum club protection, ergonomic neoprene handle for easy maneuvering, deluxe in-line skate wheels, 2 external accessory pockets and an oversized shoe/garment pocket. Fi..
BagBoy® T-2000 patent pending Pivot-Grip™ travel cover features ergonomic Pivot-Grip™ twists to the bag position which reduces arm and wrist strain in transit. Ultra-thick wrap-around padded top. Lockable, full wrap-around main zipper simplifies access &a..
Zipper closure that extends to the bottom of the bag for easy access l.D. card window Wide bottom part will accommodate larger golf bag. 10.5" W x 50" H x 10" D.. Custom Logo Golf Bag Travel Cover Embroidered. - 1680 ballistic nylon construction - fully padded with interior strap to hold bag in place- two exterior side organizer pockets and two interior strap to hold bag in place.- sturdy inline skate whe..
Large capacity central zippered compartment to fit golf bag (stand bag through 9.5" cart). Two external gusseted/ zippered shoe pockets & one internal separate zippered nylon shoe pocket. Top 1/3 is foam padded to protect club heads from damage. Three.. Custom Logo Golf Slazenger Classic Golf Bag Cover. Sized to accommodate most golf bags and clubs. Wheeled cart system with top pull handles. Removable zippered shoe bag fits up to U.S. men's size 13. Extra padding on the top of the zippered main comp..
Titleist is proud to introduce a limited line of Professional Travel Gear, as well as an updated design to the Essential Travel Gear offerings. All have been designed to cater to the business & lifestyle needed of our serious golfer audience. Meticulo..
Reinforced nylon carrying strap with Velcro® locking handle. Features an internal compression strap that stabilizes the bag during travel, ID tag for easy identification, oversized, dual zippered shoe/garment pocket. Fits a 48" driver and up to a 10" cart.. Thick quilted top for maximum protection. Features deluxe skid bars and skid plate on back for added durability. Lockable, wrap-around zipper for easy access to club compartment. Weather and tear resistant 600D polyester. Integrated ID tag holder. Fits a ..
BagBoy® hard top travel cover features a hard ABS top for maximum club protection. Premium all-weather 600D polyester body. In-line skate wheels provide smooth rolling action. Padded trunk handle for easy lifting. 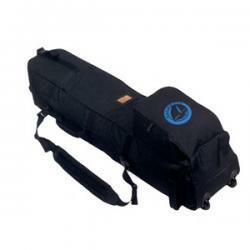 Internal compression strap stabilizes bag..
Deluxe golf bag and hard case travel cover in one! Eight total pockets provide ample storage including an oversized ball pocket. Heavy duty Duraflex® clips secure top. Clam shell top to easily pack clubs. Pockets can be removed from hard case. Umbrella ho..
Wheeled Executive Travel Cover. 600D Polyester with vinyl backing. Zippered Main Compartment. Zippered Front Pouch Pocket. Carry Handle. Adjustable Shoulder Strap. Padded Strap. 17" W x 50" H x 13" D..
Embroidered Golf Bag Cover with Wheels - Golf Tournament Gifts..
Executive Travel Golf Clubs Cover with Wheels - Golf Tournament Gifts.. Logo Golf Bag Cover - Golf Tournament Gifts..